Web site was developed with very popular and simple CMS – MODx Revolution. Basics of design ismaterial design from Google. For this purpose I used materialize.css – super cool framework with material design concepts. 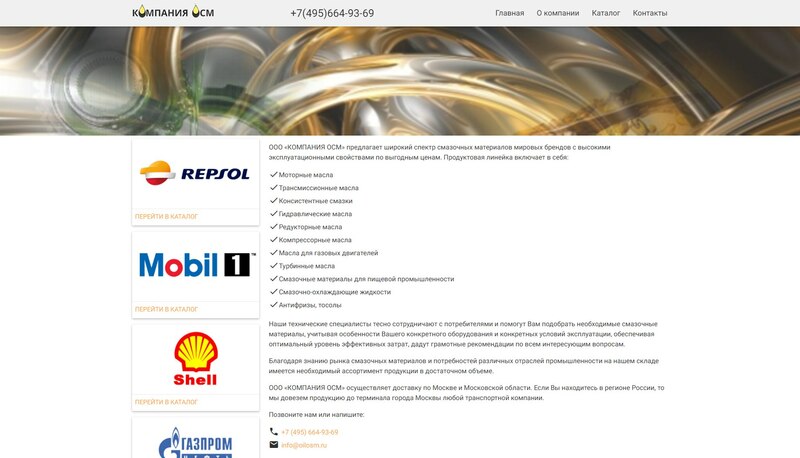 Web site realizes difficult and flexible catalog of oil products.